What an exhilarating year! Broth Bar & Larder turned 3, I launched some new online cooking workshops, launched my Australia-wide Food As Medicine tour and got my Young Living essential oils business off the ground where my team and I are helping people to swap out the toxins in the one environment they can control – their home! As we rapidly approach Xmas, the frenzy of what to buy loved ones fills our thoughts. I ask you to pause to consider giving the gift of health this Christmas. Without a solid foundation of health, you have nothing. It is so much harder to be happy, I discovered, when you are not healthy. 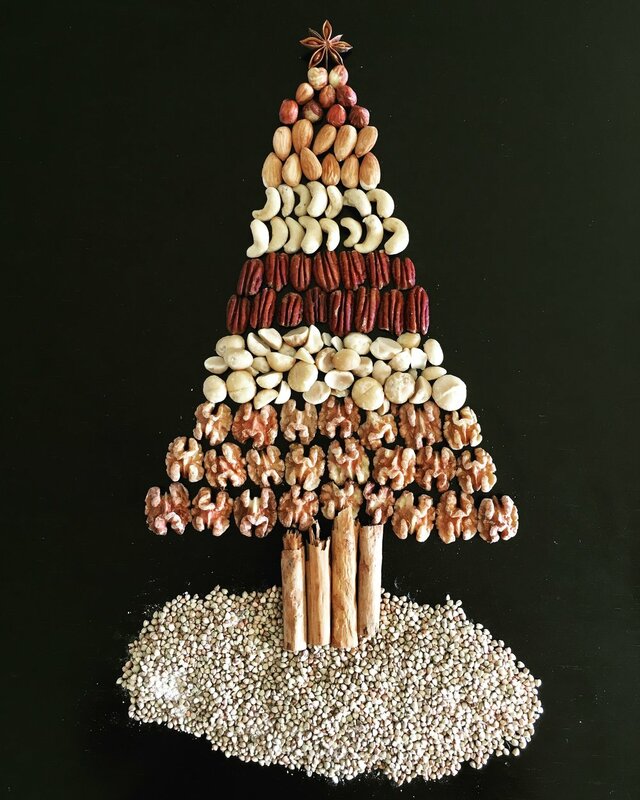 Here are 6 gifts that are health promoting, inspiring, sustainable, nourishing, and embrace conscious consumption in every sense of the word. There is no better gift than to empower someone with all the relevant health information, tools and resources they need on how to nourish their body and optimise their health. I am currently touring Australia with Marieke Rodenstein, Australia’s pre-eminent holistic dietician, presenting a comprehensive half-day presentation on Food as Medicine and The Fundamentals of Robust Nutrition. Our collective forte is to combine the wisdom of ancestral diets with the latest developments in nutritional medicine and robust science. In this information-packed talk (containing all the information that I provide in my one on one health coaching sessions but at a fraction of the price), I explain in my renowned, uncomplicated, no-nonsense, practical approach how to reduce the mismatch between our dietary (and other lifestyle) choices and our ancient DNA, in order to function optimally, perform our best and reach our true potential. I unpack the fundamental principles of robust nutrition and bust mainstream myths that have contributed to the epidemic of modern illness and degenerative disease. 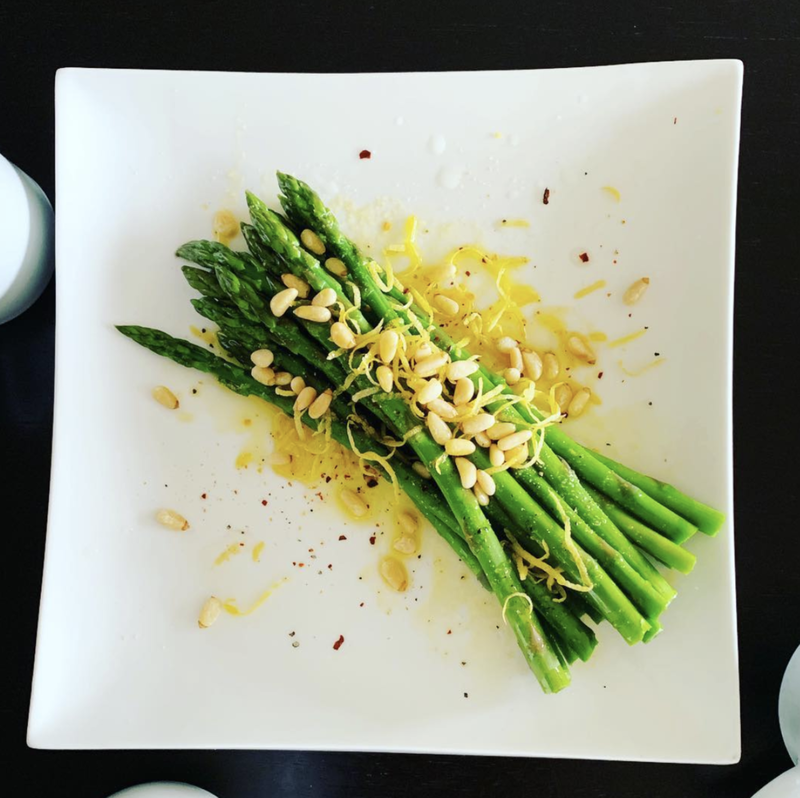 With almost 2 decades of clinical experience, Marieke dives deep into the fundamental principles of robust gut health, which is the lynchpin to our overall health. While health is multifactorial (and directly influenced by lifestyle factors such as movement, sleep, breath, stress management, immersion in nature, fun and play, and connections with ourselves and others), nourishing your body with the anti-inflammatory nutritionally-dense whole foods that we as a species are biologically designed to eat is, I believe, the cornerstone (as well as the fastest and easiest way!) of reclaiming and maintaining spectacular health with the most profound impact. Knowing what to eat is one thing but putting it all into practice is where most people fall down. What makes this talk truly unique is walking away with a comprehensive yet concise ‘How To’ manual that enables you to put the robust nutritional theory effortlessly into practice. Wisdom without inspired action is fruitless. Next stop on the Australian tour is Adelaide 16th February and Sydney 2nd and 3rd March. Tickets are selling fast. To learn more or to book click here. Four of my cooking classes are now available online: bone broth, slow cooks, gluten-free baked cakes and organ meats. Some can be purchased as a bundle to save. Learning how to make and master traditional wholefood staples like a gelatinous bone broth, nutrient-dense organ meats and tender slow cooks along with guilt-free healthy cakes, are life changing skills that can (and should be) passed on from generation to generation. Check them out here. If you are wanting to gift the online video to a friend, simply download and save the document on your system and forward the document to them as their gift. I have put a lot of love, time and energy into these first 4 online workshops to create as close an experience as possible as if you had attended the workshop in person. I have made them as thoroughly comprehensive as possible, jammed packed with recipes, nutritional theory, practical demos, and answers to your frequently asked questions. I hope you love these online workshops as much I have enjoyed creating them for you! If you are struggling to decide what product your loved one might like best- let them choose! 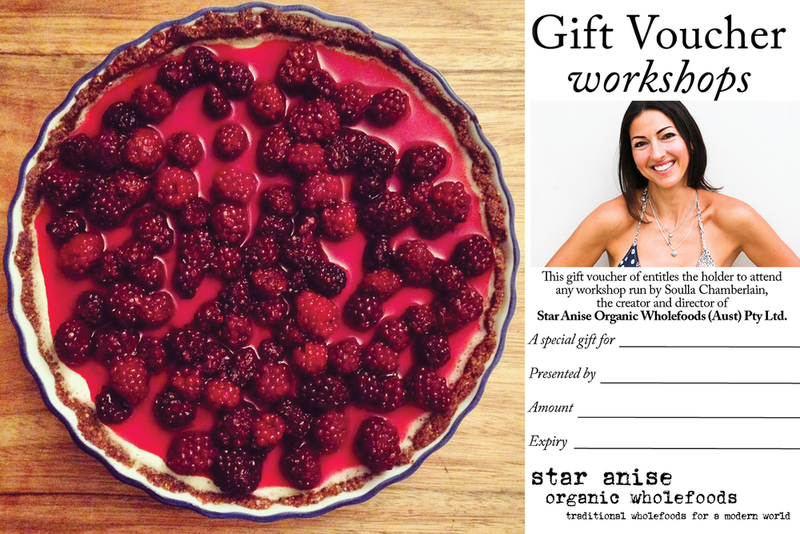 Simply purchase a Star Anise Organic Wholefoods gift voucher to the amount of your choosing. Vouchers can be used towards our products, workshops (including online workshops) or a life-changing one on one health coaching session with me. To purchase a voucher simply contact one of our lovely staff at Broth Bar & Larder and they will take care of the rest. 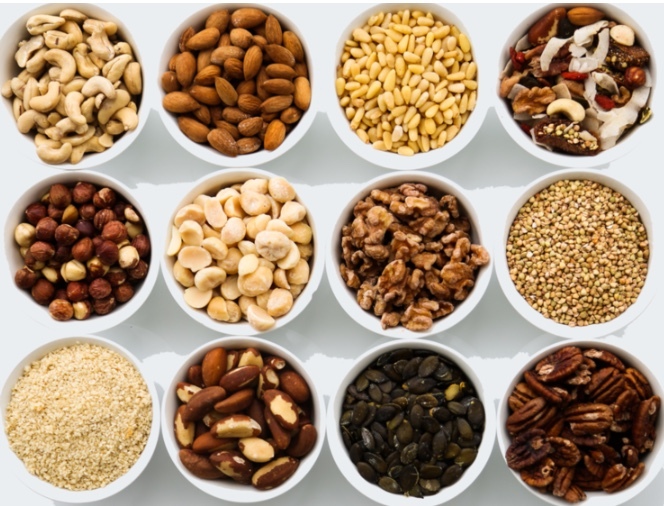 Did you know that activated nuts and seeds are ranked 3rd on the Dr. Mat Lalonde nutrient-density scale? For information on what “activated” means and why we should be eating “activated” versus raw nuts read this blog here. In a nutshell (no pun intended!) activated nuts are more nutritious, more digestible and not to mention more delicious. Once you’ve eaten activated nuts, there’s no going back! It is a labour of love to get our nuts as ridiculously crispy and delicious as we do. For Xmas I recommend a gift of the Snack Mix which is very festive (with gojis, coconut flakes, figs and mixed nuts) – it’s the perfect blend of sweet and savoury. You also can’t go past our activated macadamias (that have been described as “life-changing”) or almonds. The mixed nuts (which do not contain dried fruit) are also a good place to start for those who are not sure. Our nuts are available in 3 sizes (120g, 300g, 500g) and some come in handy 30g snack packs. These are a nice addition to any hamper and make a lovely gift for a teacher, friend, household helper or someone who has enriched your life in some way. Our organic raw dark artisan chocolates are available in various flavours either via our online store or at our retail store Broth Bar & Larder. We also have available loose chocolate for sale at Broth bar & Larder only that can be individually hand wrapped for a special someone. 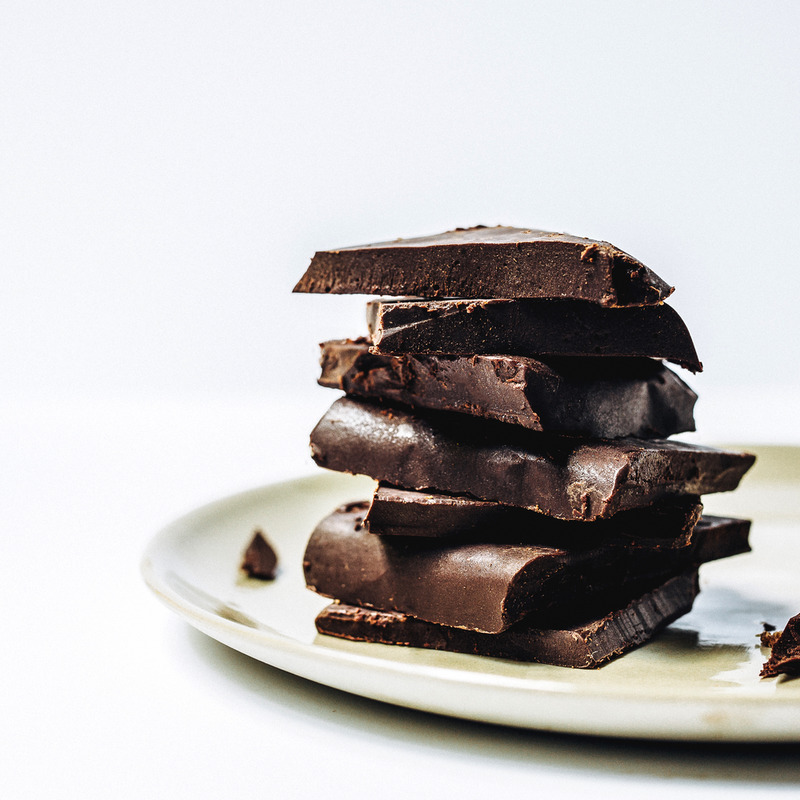 In addition to our sokolata (raw dark chocolate), choose from our selection of staple artisan raw treats including power bars, bliss balls, gummies and totally unsweetened carob bears. My entire range of treats was borne out many moons ago of desperation of not being able to find anything that was remotely up to scratch in the market place. Made without any refined sugar, soy lecithins, emulsifiers, milk powders or other nasties whatsoever, these contain only pure certified organic ingredients and are made and cut by hand in very small batches on site at Broth Bar & Larder. These are so pure that they must be refrigerated. We don’t see that as an inconvenience, but as a sign of purity and uncompromising standards. Certified organic cold pressed extra virgin olive oil made by Toscana Olives (sold at Broth Bar & Larder) available in 3 sizes. Read this blog to learn more about what to look for when buying olive oil. Green Pastures Beauty Balm (the most nourishing edible lip balm on the market) (sold at Broth Bar & Larder). Home made ginger bread men (see my recipe here). A bottle of Christmas Spirit or an essential oils starter kit made by the world leaders in the essential oils movement - Young Living, who set the standard for the rest of the industry with their 25 years of industry leadership. Find out more here and please contact me directly to connect you (I’ll do all the admin work for you). Jakemans pure maple syrup (sold at Broth Bar & Larder) available in 4 sizes. Red Boat (sugar free) fish sauce (sold at Broth Bar & Larder). Feel free to bring in a hamper box for us to help you fill. Broth Bar & Larder will be closed for the public holidays only (25th, 26th December and 1st January) and will be otherwise open for trading every day 8am-6pm and Sundays 11am-4pm. I will be available for health coaching sessions throughout the entire school holiday period both during the day and in the evenings (other than 23-31 December 2018). To book simply call/text me directly on 0407 871 884 or complete the online form here. Farmers who are committed to ethical and sustainable farming practices are paid and revered like rock stars! People kick the toxins in not only their food but also in their personal care products and household cleaning products. If everyone made their house the high water mark what a completely different health care system and environmental landscape we would have! We all find a greater sense of inner peace and joy and from that place make deeper connections with others. Yes, yes, I know the above is all but a pipe-dream that I probably won’t ever see realised in my life time let alone 2019… But! I like to dream BIG and I have no doubt that if we work together, starting with our home, we can create a ripple effect that knows no bounds. THANK YOU FOR YOUR OVERWHELMING SUPPORT! I take this opportunity to thank from the bottom of my heart all my clients, customers, staff, stockists, suppliers and followers of my blog and social pages for all your overwhelming support, loyalty, touching feedback, patience and advice over 2018. It has meant that I have been able follow my passion and do what I love to do: help people lead a less toxic, more nourishing life – in all areas of their life. I am committed to constantly striving for excellence in all that we do at Star Anise Organic Wholefoods to ensure that our products and services remain at the highest unparalleled quality. May you get some deep relaxation and play time in, and may your Xmas be delicious in every possible way!